When I was little, stopover meant someone coming to the house to play. Depending on your level of friendship, they’d ring the doorbell, knock, or barge right in. One way or another, conversation happened, a game ensued on the front lawn, something delicious to snack on appeared on a table, and there was definitely a story to tell. In the travel world, “stopover” means something completely different. With the soaring prices of airline tickets, a world made smaller by online communities, and a continued desire to explore, more and more travelers are looking for opportunities to add in adventures anyway they can. Enter, the stopover. A stopover is a way to grab an extra adventure without the extra cost of another flight. Many airlines, whether you’re using points, miles, or money to travel, offer these neatly packaged stopovers to a variety of cities. Some airlines don’t advertise the service, while others make it widely known. Whether you’re the savvy points traveler who knows how to seek and find hidden gems, or the newcomer who wants to take the opportunity to find your feet in many foreign lands – stopovers help add more journeys to the one you’re already taking and add stories to the one you’re already telling. Free stopovers allow travelers to stretch their legs in the hub city of respective airlines for 24 hours or more. Search those multi-city or connecting flights on your own. Whether it’s a ‘round the world ticket, a multi-city one, or you piece together those individual flights – you can make a stopover happen with a few clicks while sitting in your pajamas and fuzzy socks. If the first option seems a bit time consuming and you already have an idea of the airline you want, the destination for your journey, and the stopping points – give the airlines a call and ask all of your questions to those in the know. If both of these seem a bit overwhelming and you’re in the market for some help with your research, engage a travel agent to help navigate the endless array of information. Always be sure to check out the benefits of joining award programs, or perhaps investing in a credit card that gives you the benefits of mile options on various airlines. Plan wisely and those mile stretching stopovers will soon be a part of your regular travel journeys. Below you can find a list of airlines that offer stopovers. Click away to find the one that works best for you! Only a hop, skip and a jump away, this tiny country in the North Atlantic is a perfect stop between North America and Europe. Take advantage of Iceland Air’s available options allowing travelers to touch down in this fabulous lesser visited European country for up to a week. Flexibility is key to enable the best and most options for stopover potential. Check out the Blue Lagoon, take in the sights of this colorful capital city, and, depending on the time of year, search the skies to see if the northern lights are dancing. Here’s what you should pack for Iceland. Want to check out the home of the world’s tallest building but don’t want to elongate your journey by too much? Enter Emirate’s prepared stopover package offering one full day to take advantage of UAE’s Dubai. Less than $100 (US) extra, your package includes transport, one hotel night stay, and visa (if necessary). To schedule (inclusive of your no-cost visa), contact the Emirates office or a travel agent to book the actual stopover. Spend your time visiting with penguins, take in the aroma of endless spices at the markets, click pictures at the Burj Khalifa, or take a journey to hit the desert slopes in a dune bashing ride of your life. Direct contact with Japan Airlines is the best way to arrange this stopover. According to Japan Airlines’ online statements, passengers are entitled to a free stopover in either Osaka or Tokyo. Want to check out the world famous transport system or take in the eclectic couture of the famed capital? Find a way to spend some time soaking in Tokyo’s technology, the throng of people, and taste the wonders of Japanese cuisine. Smooth sailing with Singapore Airlines incorporates a stopover for all travelers who would like to exercise the option. Use the multi-city option and know that you’re paying the same fare as if you were going on a return ticket. Your free international stopover can be booked through the website, or if you have any difficulty, the fine staff at Singapore Airlines will happily take care of you. Secondly, akin to the Emirates package, for the price of less than $50 (US) a night you can get hotel and transfers included. The only remaining dilemma what to pack for Singapore. Call your friends at Finnair to book a stopover in the capital city of Helsinki. With great access to a myriad of flight options connecting western and central Europe with the US, one free international stopover in Helsinki is included in your flight and the option for a second stopover is only $100 (US). Check out your destination options and give them a ring to solidify your stopover booking. Explore Scandinavia and see what it’s like to wander the city of Helsinki in any season. One free stopover in Bangkok, please. Thai Airways has been enticing patrons with a free international stopover in this lively capital city. Online booking is available for these stopovers. Although the airline often directs their focus on guests traveling to or from Australia, the stopover option is available to all travelers on Thai Airways. Grab some free time to take in a temple, meander a market, or navigate the nightlife of this magical city. Here’s your Thailand packing list. If you’re traveling on Air China through Beijing or Shanghai and wish to check out the intriguing nature of mainland China, Air China is providing a new option. Definitely not free, this heavily orchestrated package includes a hotel stay and an organized tour for the duration of your visit. For this visa-free stopover, contact the global ticketing agency of Air China. Want to step foot on the Great Wall of China but don’t have eight days to spend in one spot? This is the perfect option for you. Take in the adventure of Abu Dhabi’s sand dunes with an Etihad stopover. Not necessarily free, Etihad has done their best to make it easy to stretch your legs in this stunning, dry, hot metropolis. For between two and four days, your package can include a night free at any hotel of your choice and discounted offers on various options for Abu Dhabi attractions. Whether you’re looking for a relaxing afternoon by the pool, a golf outing, or any other sort of luxury offer – Etihad can help. Although there are no free stopovers offered on Turkish Airlines, the location of the hub city of Istanbul makes for an easy custom made stopover, with a little creativity. Using their multi-city tool, see what happens when you add in a stop in Istanbul on a long haul flight from the US through to Asia. Often you’ll find that the price doesn’t jump more than $10-15 (US) making this a fantastic opportunity to grab some time in one of the world’s most historic and picturesque cities. Stand in awe of the exquisite design of the Blue Mosque, taste the joy of Turkish coffee and Turkish delight at the Grand Bazaar, take an underground adventure in the Basilica Cistern, and stand in the footsteps of history in the Hagia Sophia. Regardless of which side of the Bosporus you choose, Istanbul inspires. There are many airlines that do not offer specific stopovers, but do provide access to their fantastic hub cities. With a little moxie, patience, or trial and error, travelers willing to do the research can find ways to add a few days stopover to their travel itinerary without a huge jump in cost of a ticket. Leverage connecting flights, as they can be cheaper than direct ones. Since those connections require more travel time, they are not as attractive or optimal for many travelers – but they often hold a better price point. Experiment with searching (on purpose) for the longest possible connection time and make that your stopover. Do your research and spend some time playing around with the search tools options and see what new adventure comes your way. 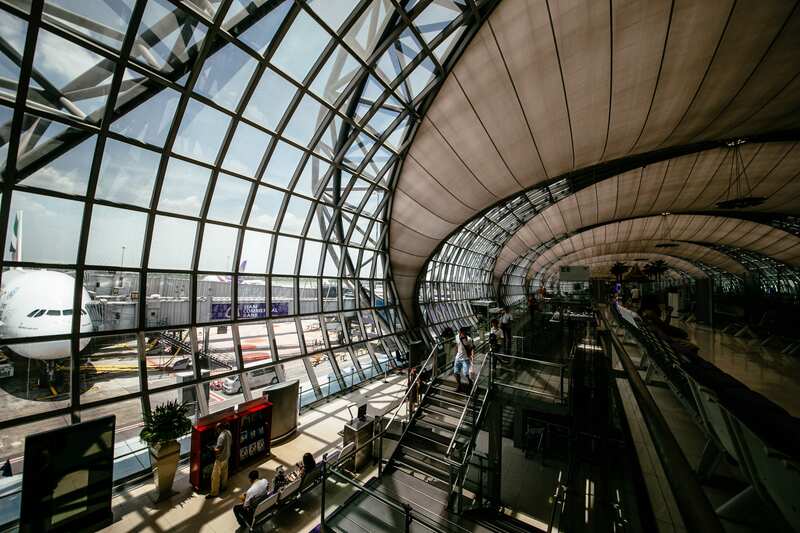 The following are some airlines and their convenient hub cities that might strike your fancy. Keep in mind that, although many airlines offer stopovers, they don’t always advertise their options. Many have these stopovers available on awards tickets, while others will make something happen for very little increase on the cost of a ticket. On paid tickets, the more expensive the cabin and ticket fare, the more options for stopovers. Many stopover options are dictated by the individual fare rules of the specific codes of your ticket. Regardless of how or where, most airlines will allow a 24-hour stopover if you ask. Don’t be afraid to play around on the airline’s websites or third party discount sites. See if multi-city stops add anything to your ticket cost before you book. Know that you can try one-way tickets, which, although they’re a bit of a pain to book separately, might be able to create a stopover for a better price than you first imagined. Take your time. Do your research. Plan your journeys and never doubt that adventure is out there. As per the old time maxim – seek and you shall find. Sometimes the best stories fall out of spontaneous stops, new journeys taken, or interesting places explored. Find your stopover, and find adventure.